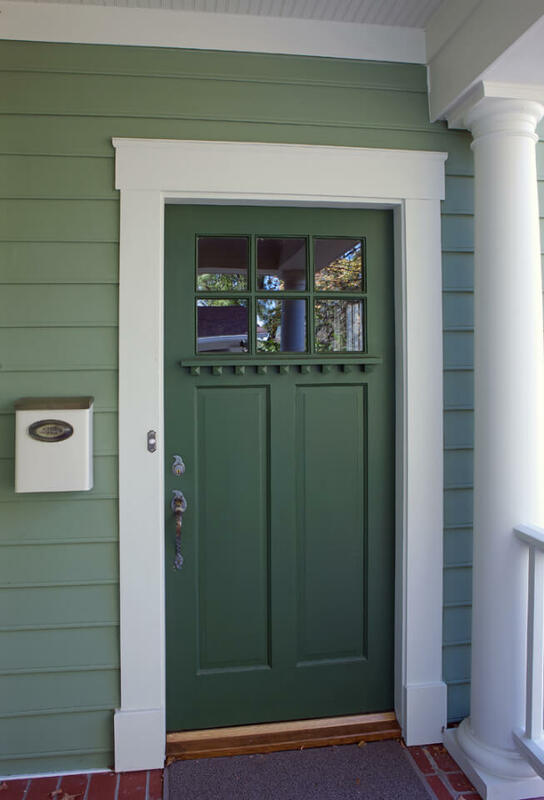 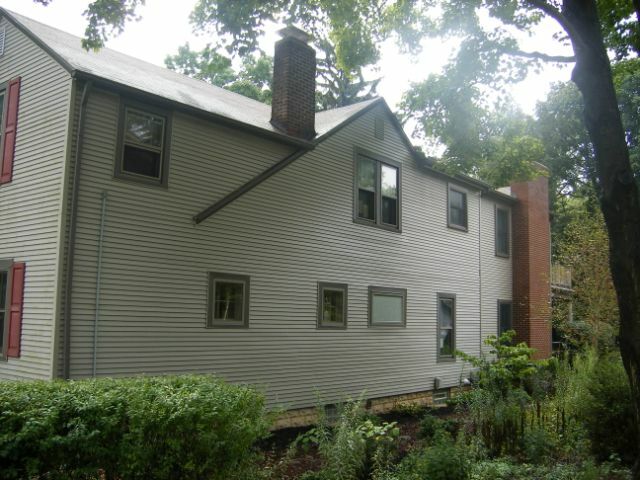 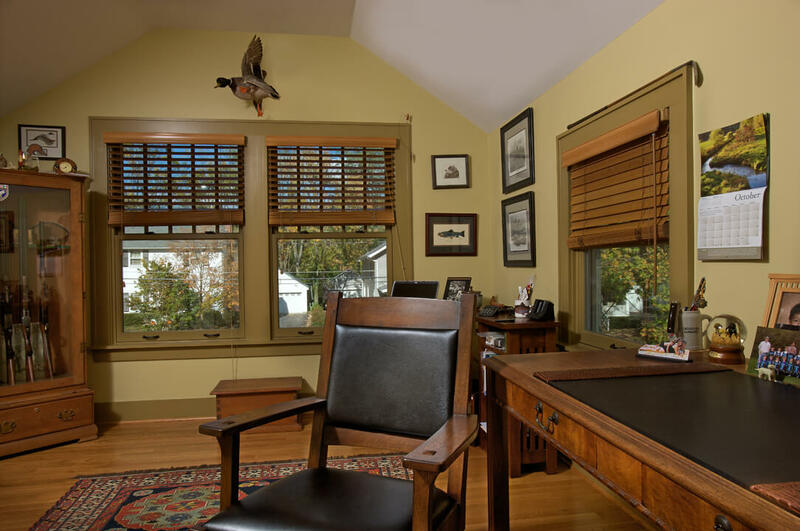 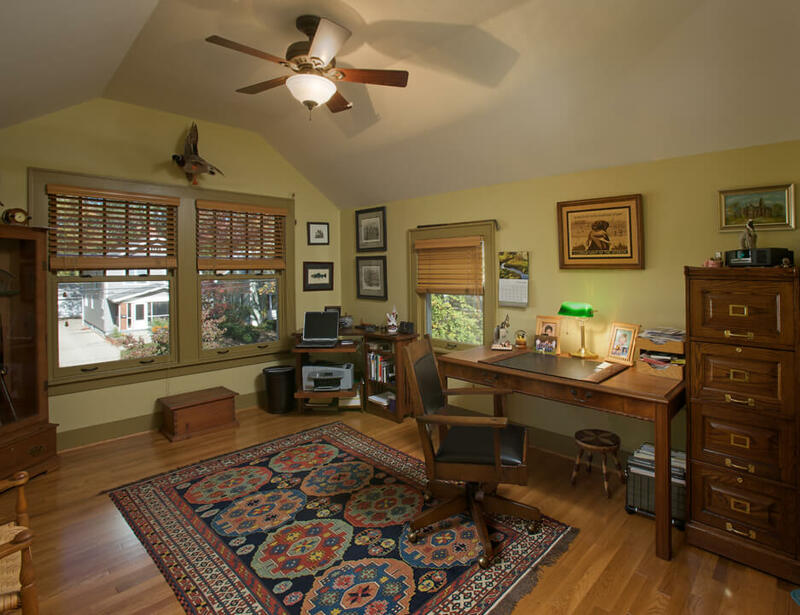 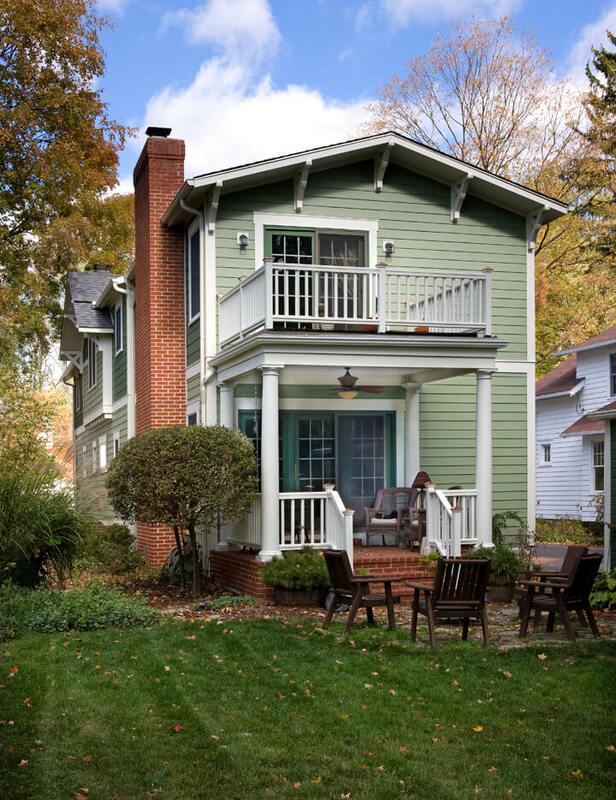 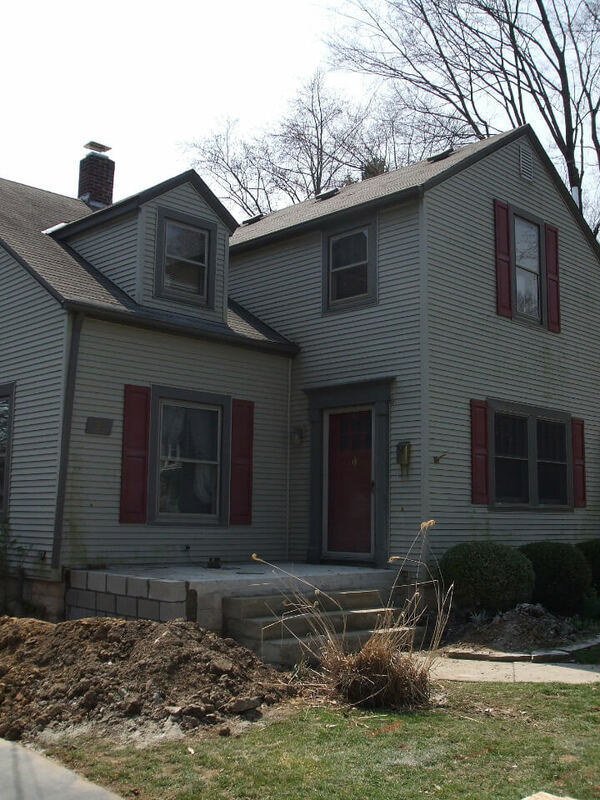 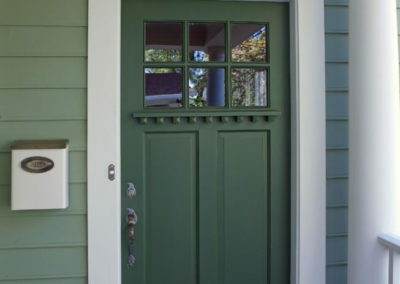 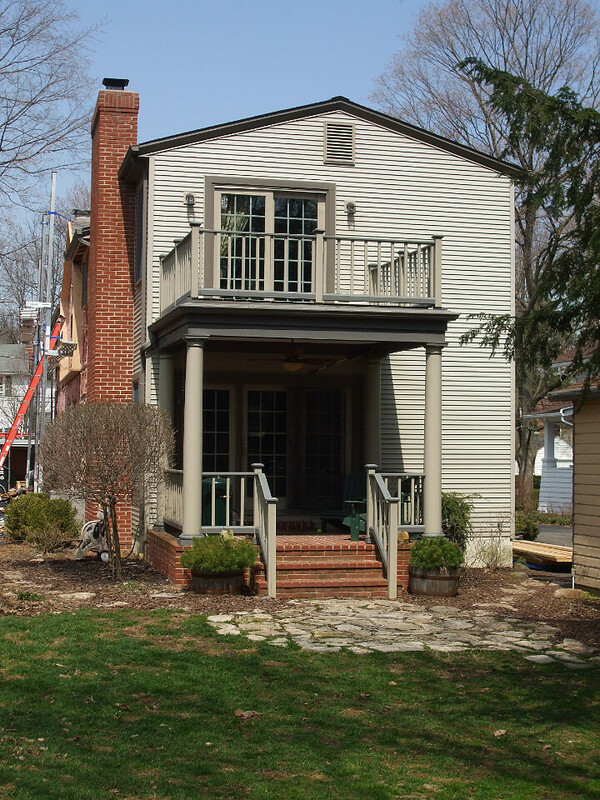 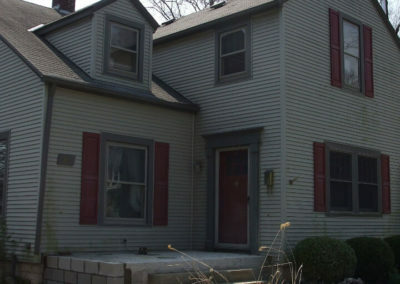 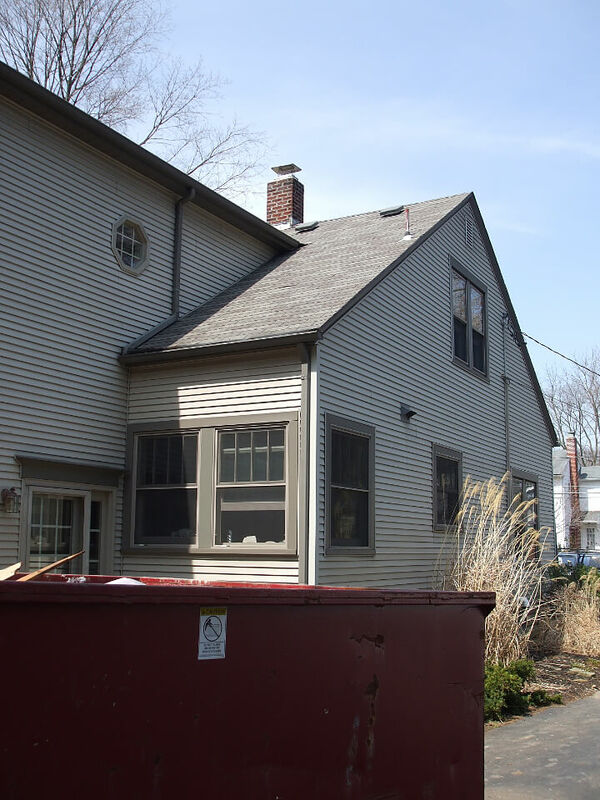 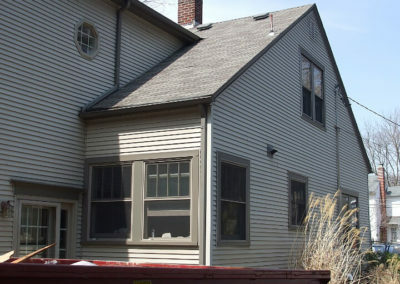 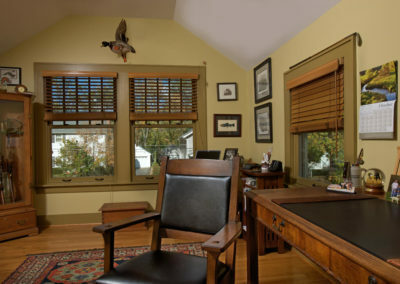 This renovation included reworking the exterior of the home to give it a historic feel. 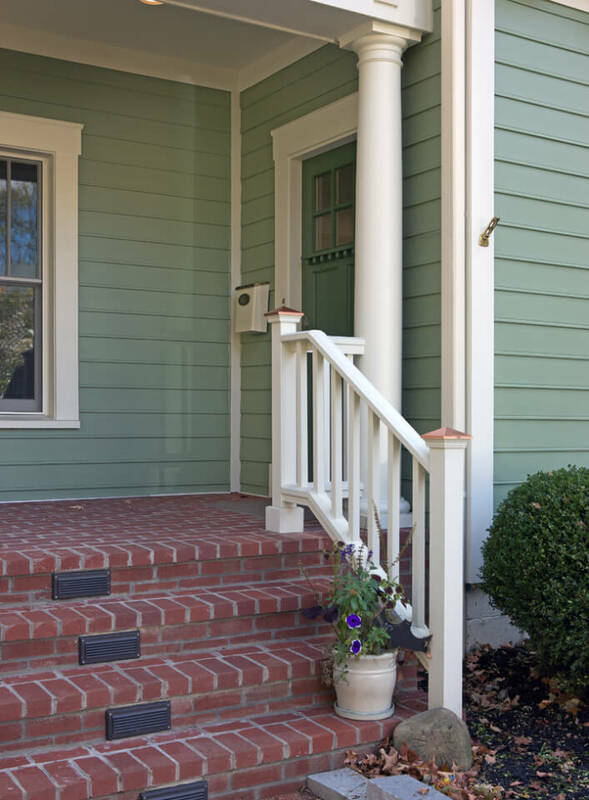 A 12” bump out was added to break down and add interest to the long side of the home. 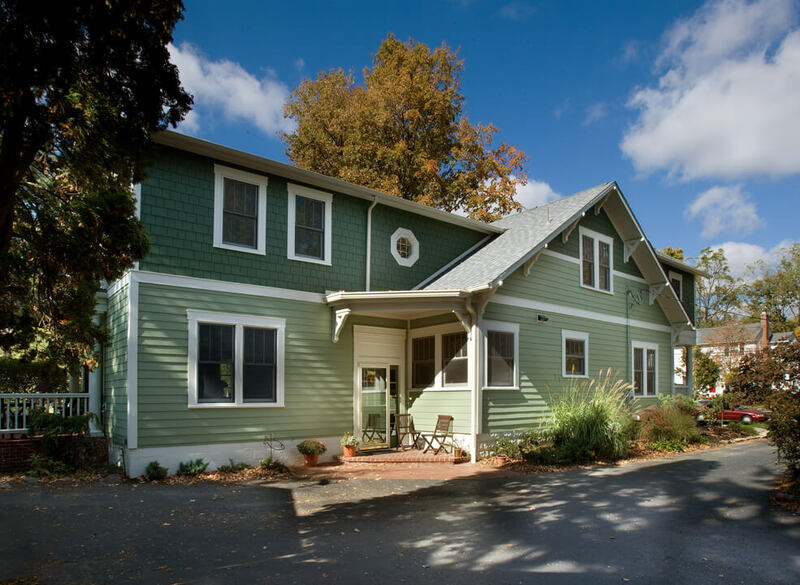 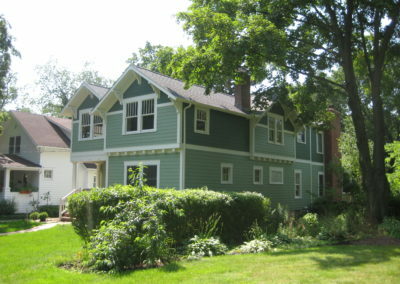 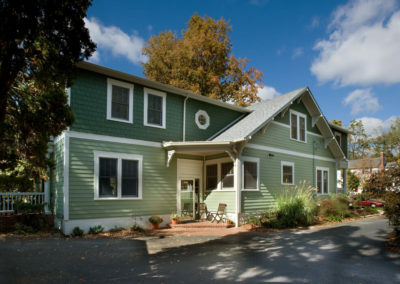 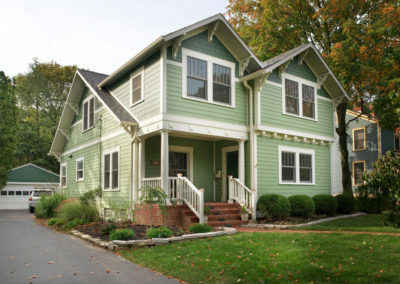 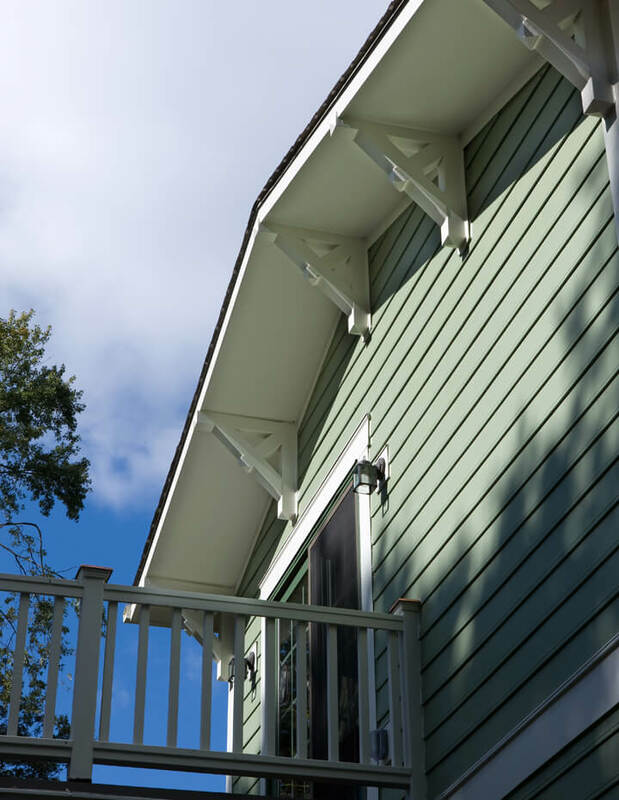 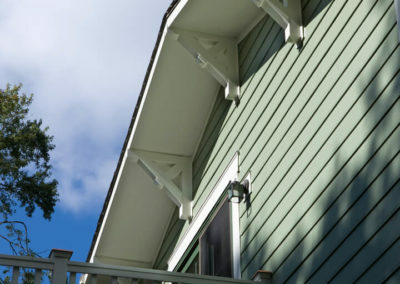 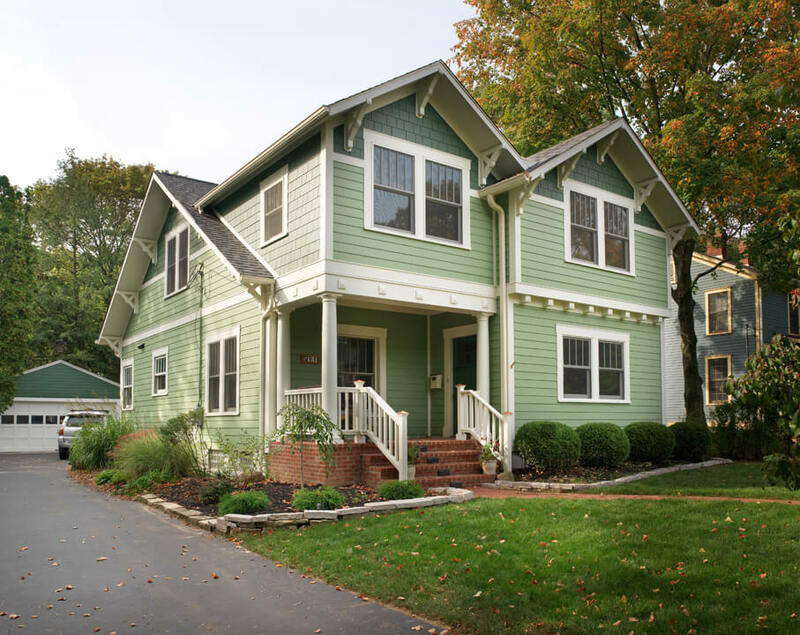 The two different shades of green were used to give the house some more depth and to help differentiate the shakes from the lap siding. 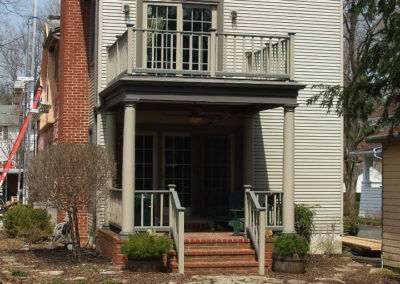 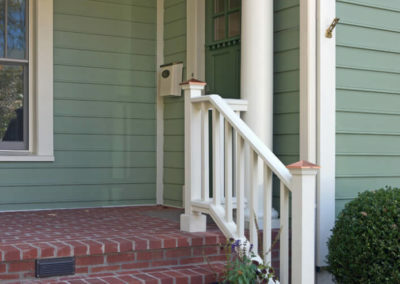 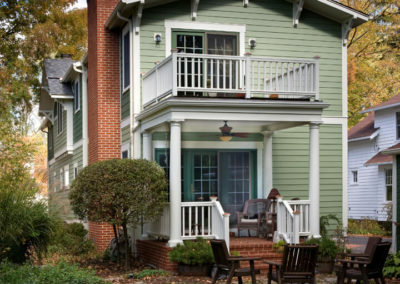 Building the addition over the front stoop balanced the front of the house and the front porch is now more welcoming and creates a setting for the homeowners to enjoy the sheltered view.